A new trend in the way pharmacy benefit managers (PBMs) are collecting fees from pharmacy providers is driving up drug costs, gouging point-of-sale pharmacy operations, and playing havoc with spending at CMS, according to reports from CMS and the Community Oncology Alliance (COA). 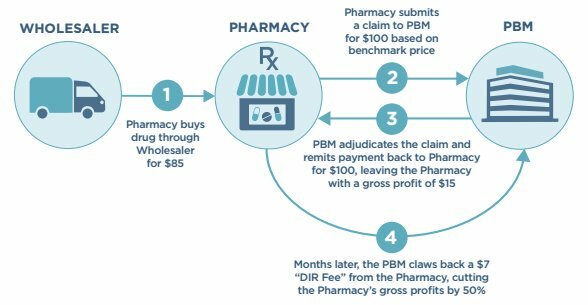 Direct and indirect remuneration (DIR) fees have traditionally involved PBMs collecting a percentage of drug costs from pharmacy providers, via rebates and pharmacy concessions, and then reporting those amounts to CMS. 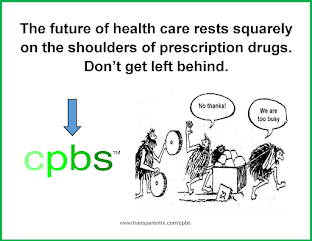 Since at least 2013, PBMs have been accounting for those fees in different, less-transparent ways and also collecting the fees well after beneficiaries have received the drugs, making it harder for CMS to oversee spending under Medicare Part D.
DIR fees are causing Part D beneficiaries to pay cost shares that do not reflect the lower actual prices of the drugs, and beneficiaries are moving faster through Part D benefit phases to the catastrophic phase of coverage, where Medicare costs are potentially higher, according to the reports. CMS stated that DIR fees more than doubled over a 3-year period, rising to $23.6 billion in 2015 from $10.5 billion in 2012. Part D drugs include the costly new spectrum of immuno-oncolytic drugs, and the flat percentage DIR fees can potentially be very lucrative for PBMs, according to the COA study, which was performed by Frier Levitt. The COA report was released this week and the CMS concerns were issued in a report on January 19, 2017. In response to the criticism, the Pharmaceutical Care Management Association (PCMA) contended that “DIR reduces premiums for Medicare Part D beneficiaries, which leads to lower costs for the federal government” and higher satisfaction for Part D enrollees. However, CMS, in its report, stated that DIR fees give only an artificial appearance of lower Part D costs. It said DIR fees force the government to pay out more in reinsurance costs for the final catastrophic phase of coverage under the Part D benefit. When these costs are added in, the total drug cost is much higher for CMS. For example, in 2010, the average Part D plan liability per beneficiary for CMS was roughly $800 and the reinsurance cost was about $400. In 2015, the plan liability per beneficiary was about $670—or $130 less than in 2010—and the reinsurance cost was $870—or $200 higher. Annual DIR fees have also risen sharply, actually outpacing the steady growth in Part D spending, COA and CMS noted in their reports. 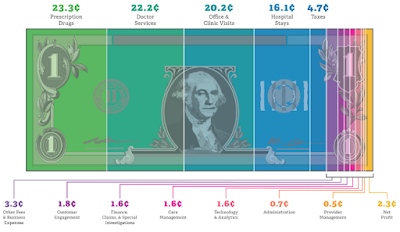 In 2010, DIR fees amounted to $8.7 billion of the net $68.8 billion Part D drug spend. In 2015, DIR fees were $23.6 billion and net drug costs were $113 billion. DIR fees related to the Part D program have more than doubled since 2012, when they stood at $10.5 billion.